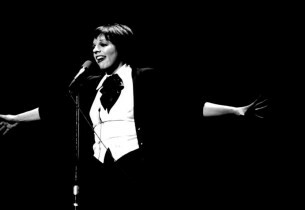 Liza Minnelli and Broadway were made for each other. Minnelli, of course, is Hollywood royalty – not just everyone makes a film debut at the age of fourteen months (with her mother Judy Garland in In the Good Old Summertime) – and she has an Oscar® to her name, just like both of her parents. And, like her mother (but different), she has cemented her personality in solo concerts and recordings. But it is on Broadway that she made perhaps her most distinctive mark, where her stage persona began to take shape and where she has returned throughout her career to rediscover her adoring public. 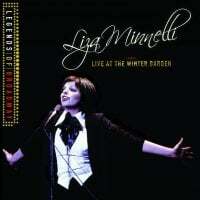 Liza Minnelli Live at the Winter Garden captures what may be the best of those memorable visits, in January of 1974. Minnelli was already a Broadway veteran then, having won the Tony Award® for Best Actress in a Musical in 1965 for Flora the Red Menace, when she was 19. The show was not a hit but she was, suddenly an exuberant, irresistible, somehow fragile diva whom the world wanted to embrace. Four years later, she had her first Oscar® nomination, for The Sterile Cuckoo, and in the spring of 1973 the Oscar® itself for her performance in Bob Fosse’s film of Cabaret. She added an Emmy (for the Liza With a Z TV special) that May. At the crest of that incredible wave – she was all of 27 years old in January 1974 – Minnelli returned triumphantly to Broadway to hold court at the Winter Garden for a month of performances, captured on this long-unavailable live recording. The concept was simple: “just” Liza with four dancers (two men, two women), a band and some great songs, old and new. Bob Fosse staged the show and choreographed it with Ron Lewis. Since the beginning of all their careers, Minnelli has been a virtual muse to the composer/lyricist team of John Kander and Fred Ebb, and they supplied new material for these performances. The show was a blockbuster hit, selling out the entire month’s run in one day and setting a house record for the Winter Garden Theater. In the New York Times, critic Clive Barnes rhapsodized about Minnelli’s “urchin hair, big gypsy eyes, good legs, expressive hands, and a voice that can purr, whisper, snarl and soar.” Years later, in a New York Times interview, Meryl Streep would recall discovering an important truth about performing from the Winter Garden show, which she saw when she was a student at Yale. “I learned something from watching Liza Minnelli,” Streep said. “Encountering and truth-telling are the initial steps of acting. But there is a further leap to the understanding of the importance of brilliance, sparkle and excitement. ‘Performing’ is the final gloss.” At the end of the season, Minnelli was awarded a special Tony Award®, no doubt inspired by the Winter Garden show. Columbia Records’ original April 1974 LP release of Liza Minnelli Live at the Winter Garden had to be withdrawn because of contractual conflicts over Minnelli’s performance of songs from the Cabaret score, infringing on the then-current soundtrack album. Until now, the Columbia recording was out of circulation, except in pirated versions. Accept no substitutes: this long-awaited reissue is derived from the original master, engineered by Phil Ramone. Included here are three tantalizing live bonus tracks that were not part of the song list for the run of the Winter Garden show but turned up amid the vast amount of live material recorded for the album – Stevie Wonder’s then-new “You and I” and two glorious standards, “It Had To Be You” and “My Shining Hour.” That last title might be the best description of this unforgettable evening. 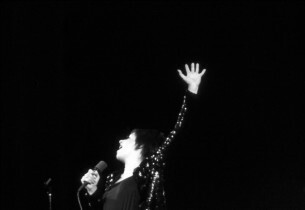 Liza Minnelli’s triumphal return to Broadway in early 1974, after Flora the Red Menace – her first Tony Award® at the age of 19 – and her Oscar®-winning performance in the film of Cabaret, was a month-long solo engagement at the Winter Garden. Bob Fosse staged the show, and choreographed it with Ron Lewis; John Kander and Fred Ebb, long associated with Minnelli, supplied a few new songs. It was a blockbuster hit, selling out the whole run in a single day. Columbia Records’ original LP release was withdrawn because of contractual conflicts and has been out of circulation until this long-awaited reissue, derived from the original master with the addition of three live bonus tracks.